What would you get if you took bands like Overkill, Exodus, Forbidden and Testament out of their respective inception times, froze them all inanimate and then woke them up in 2019 updated them on the state of the world and told them to write an album? 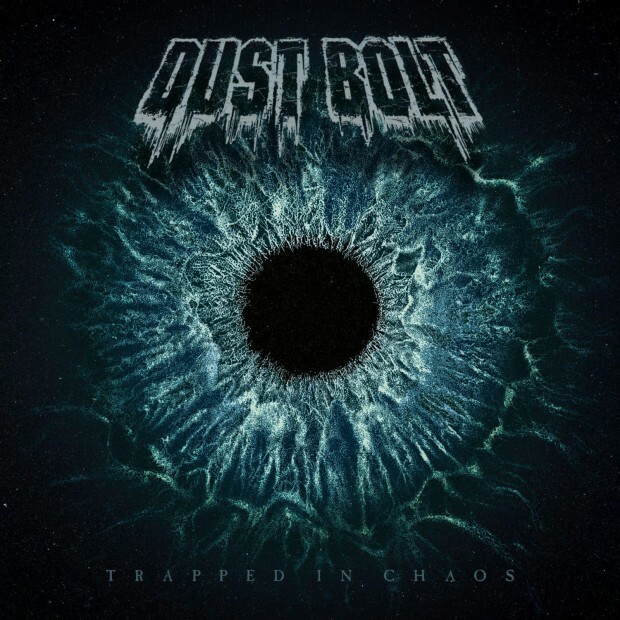 Probably something like what Dust Bolt has delivered this year with their blistering album Trapped in Chaos. Huge influence obviously comes out of the Bay Area Thrash scene for these guys, even though they hail from Germany. They do tinge on the edges of their countrymen such as Kreator, Destruction and Sodom at times, but the US thrash influence is clearly heavily evident. Think of Warbringer with a little more melody in the vocal and you’re pretty close. This is the fourth full-length release for Dust Bolt and they really have nailed the production side of things on this release. The guitars are crushing tone-wise, and the playing is super tight yet still ultra heavy. Mixing is crystal clear, with the bass driving consistently under the slicing overtones of the speed metal guitar playing. There are also a lot of more intricate and beautifully produced sections in the songs, particularly the late interlude to outro in ‘Bloody Rain’ comes to mind. Some super moody chords and nice subtle harmonic overdubs and embellishments round out a perfect finish to the track. One of the highlights for mine, was during the track ‘Rhythm To My Madness’ where I noticed several (presumably deliberate) references to bands paid homage to, such as Motley Crue, Jimi Hendrix, and Black Sabbath, while being treated to a rock and roll riff you can’t help but nod your head along to. The album’s title track was probably my favourite though of the ride. A thrash party track, with some heavy break sections to add the pepper everyone wants after so much speed metal chaos, and surprisingly winding down into the closing track ‘Another Day In Hell’ which is almost a ballad in the early stages. Trapped in Chaos is a fun thrash metal journey with its early era inspired, and modern era driven delivery of seriously face-melting riffing, structured with class and precision. For fans of anything fast, chaotic, and melody driven.